This eBox 3310MX-L3U4 model includes 3x LAN, 4x USB ports and 1x RS232. This version comes with Auto power On. This means the box will automatically turn on once you turn on the master switch (on the back). The 3310MX-L3U4 includes 4x USB 2.0 ports, 1x RS232, 1 VGA, HD Audio (Audio In/Out), 3x Ethernet ports. HDD is provided through an SD card slot or alternatively using a 2.5" SATA HDD* (the most performing option). With its flexible IO (4x USB ports) and support for 2.5" HDD the eBox 3310MX is a versatile device capable offering an excellent price/performance relation. 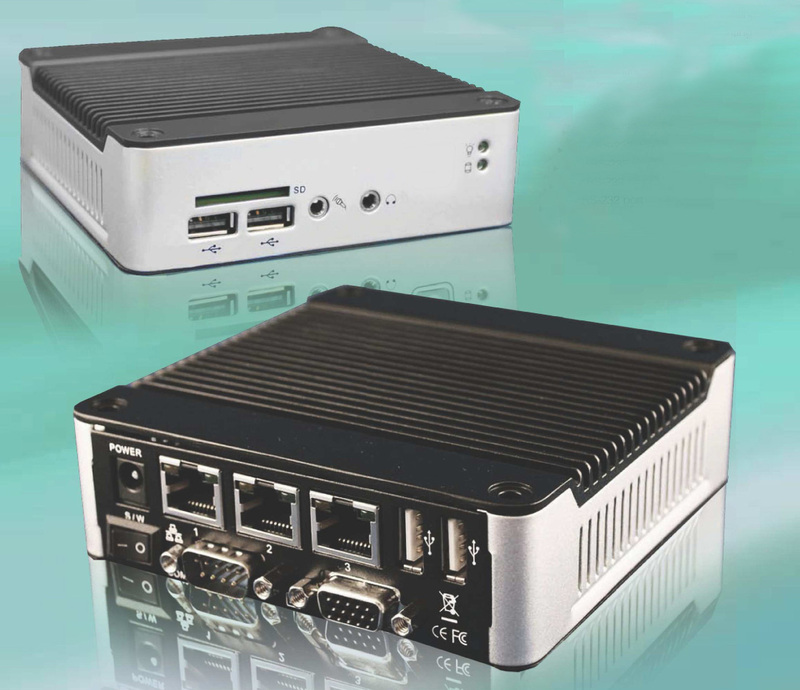 The inclusion of 3x LAN ports target Vertical Applications and niche markets where multiple network interfaces are required to bridge and integrate different networks. * eBox 3310MX models ship with built-in support for 2.5" SATA HDD but no SATA HDD is included; the SATA HDD should be obtained separately. For users who do not wish to use a SATA HDD, eBoxes can operate using an SD card as their HDD. Simply introduce your SD card, turn on the eBox and it will be recognized as a normal Hard Drive.